The Uganda Women’s 3*3 national team got off to a mixed start at the FIBA World Cup in Xi’an, China. Uganda was in action on the second day (Thursday) of the games, first defeating Romania 17-11 in the early tip-off. JKL Dolphins forward Akello was the top contributor with 8 points, Nansikombi scored 3, Asinde the youngest player on the team scored 3 points while Imanishimwe scored a point. In their second game of the day, the Ugandans took on a tougher and high-ranked Hungary. Uganda lost the game 14-8. Asinde top-scored for Uganda with 3 points, Imanishimwe and Nansikombi who missed many from two-point range contributed 2 points each while Akello scored just a single point. Uganda returns to action on Saturday, October 6 to complete their pool schedule with matches against German and hosts China. 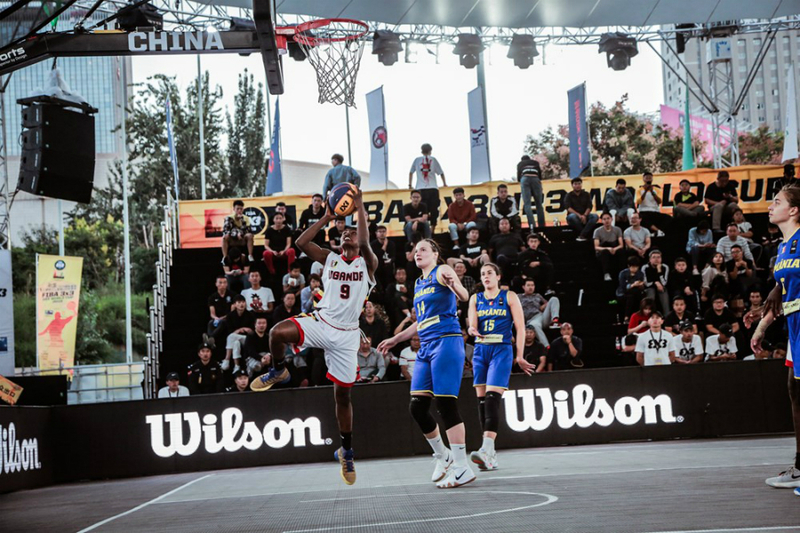 The FIBA 3×3 World Cup is the largest tournament for 3*3 basketball organized by FIBA to help make basketball a more versatile sport. The debut of the tournament then named as the FIBA 3×3 World Championship was held in August 2012 in Athens, Greece. The current champions are Serbia in the men’s division and Italy in the women’s division. There are two events in the tournament; one for men and another for women. Each team has 4 players (3 on court, 1 bench). In the first edition, there was a mixed event where each team composed of 2 men and 2 women. The match is played on a half court and every rule applies as well as a 12-second shot clock and clearance needed on a new possession. 3*3 basketball received Olympic status in 2017.